Michael Garfield is a friend of mine. He is multi-talented. He plays "cyberacoustic guitar." He is also a speaker on futurism and other topics that might interest you. 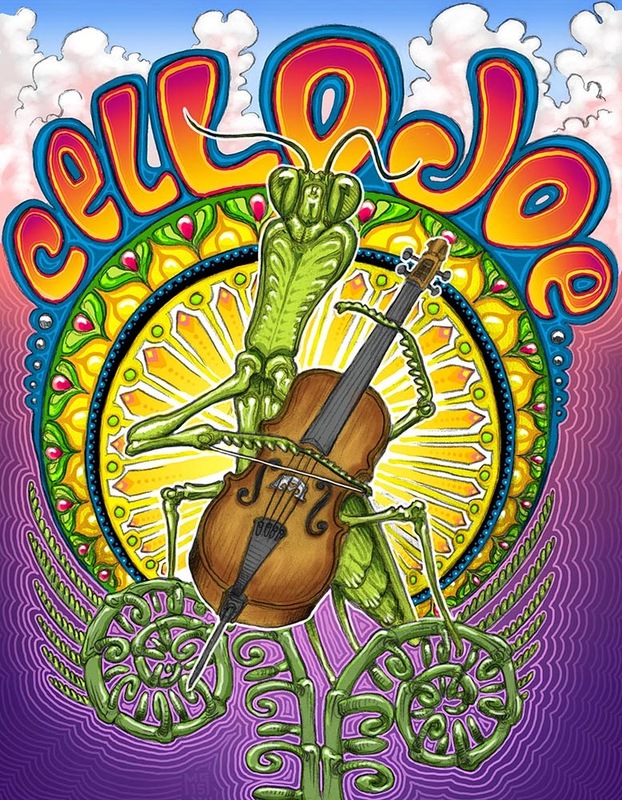 Why is there a praying mantis playing a cello? I do like insects. I feel like they are very wise. They've been around much longer than we have. I identify with grasshoppers, crickets, cicadas, and praying mantis because they're cosmic aliens like me. The insects form an amazing symphony of sound all over this beautiful planet. The next time you are freaked out by a spider, please don't squash it. Spiders are our allies. They catch flies and other bugs that normally bother us. We have a lot to learn from spiders about beauty, building, patience, and more. THANKS MG for the awesome art!